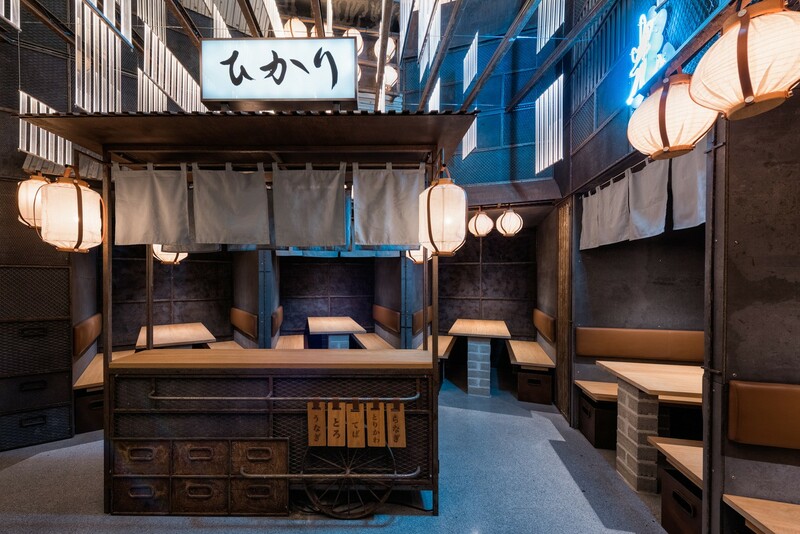 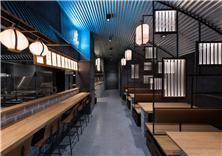 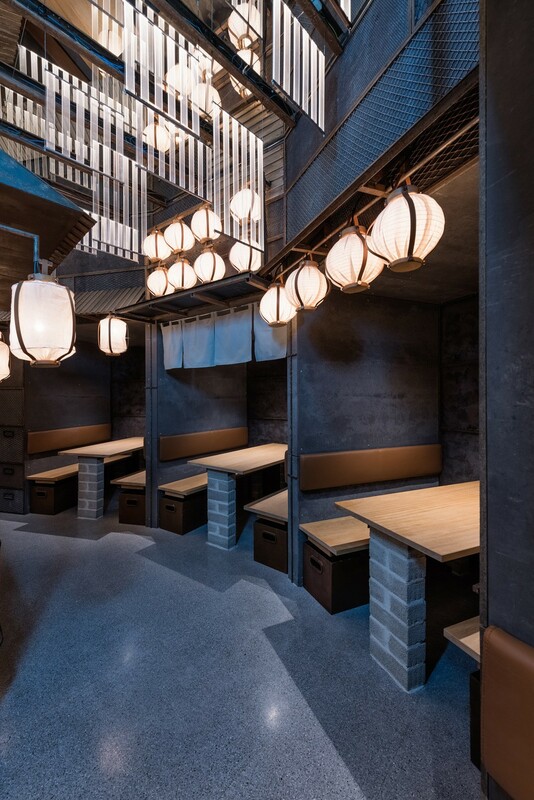 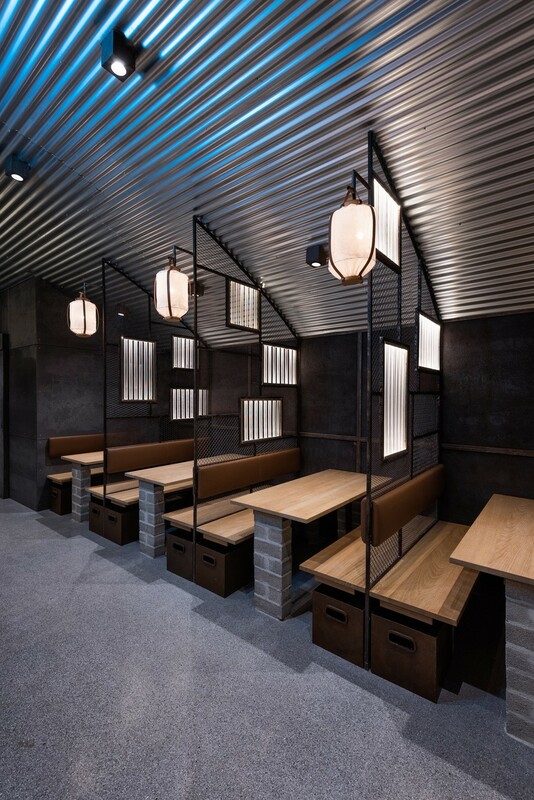 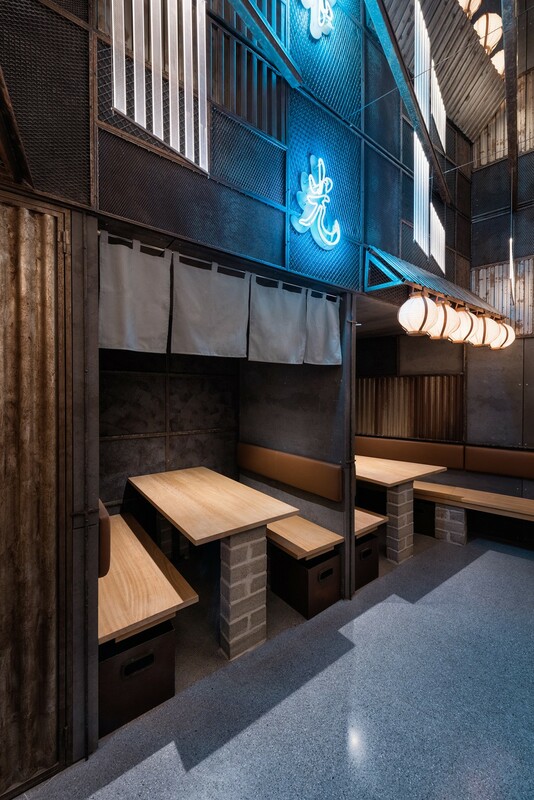 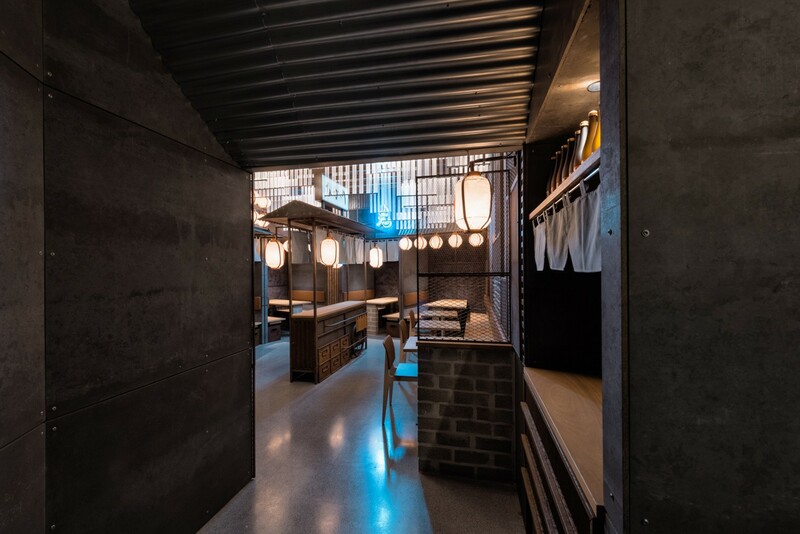 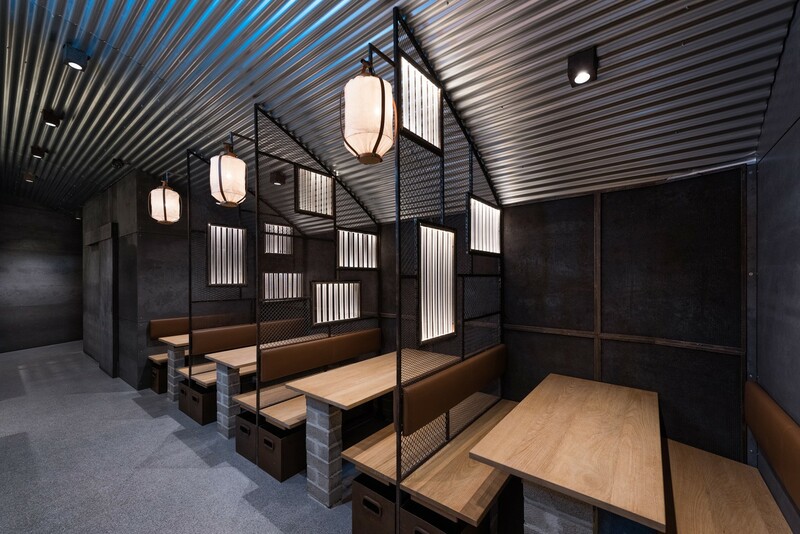 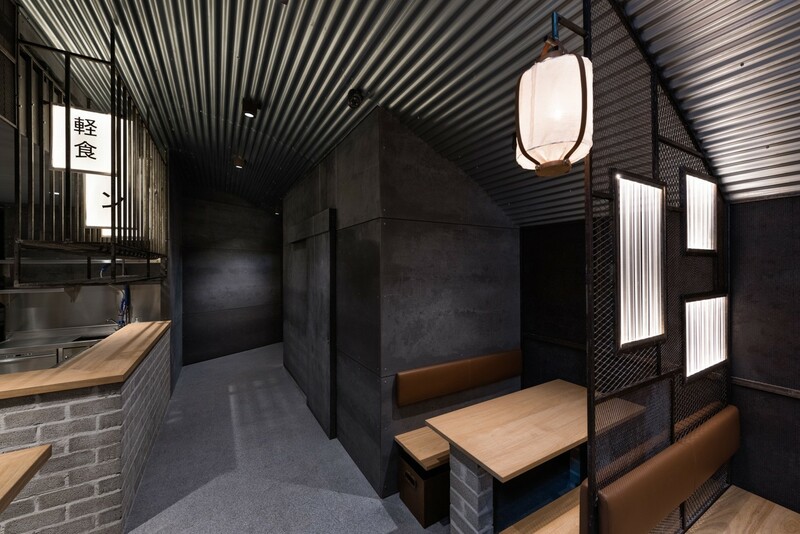 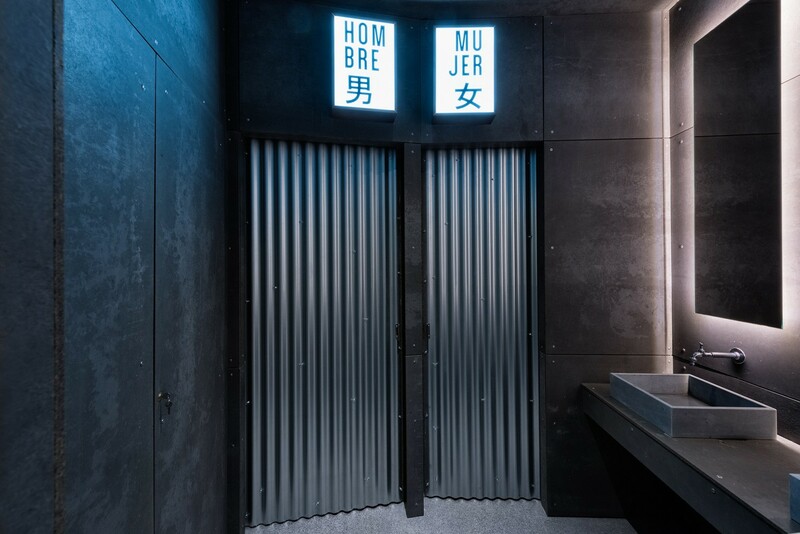 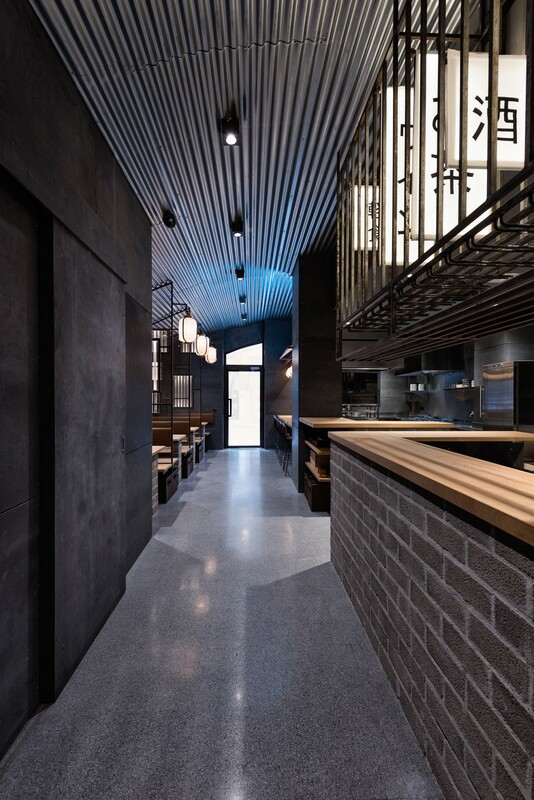 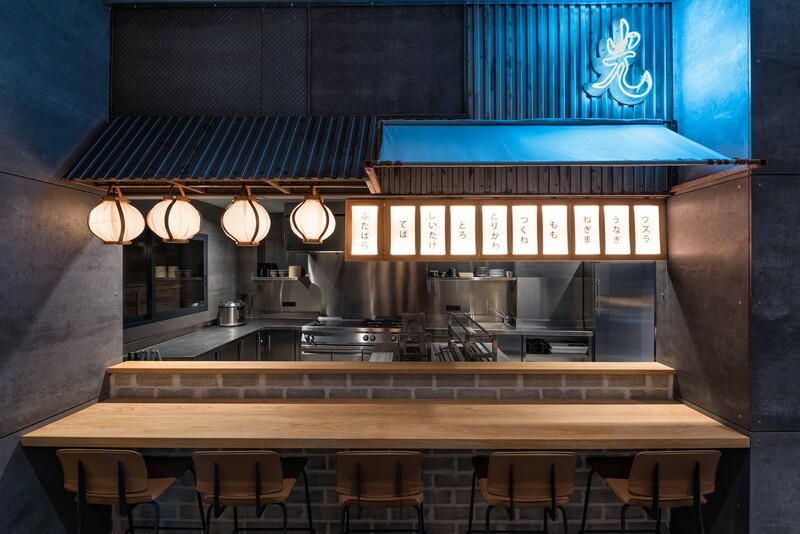 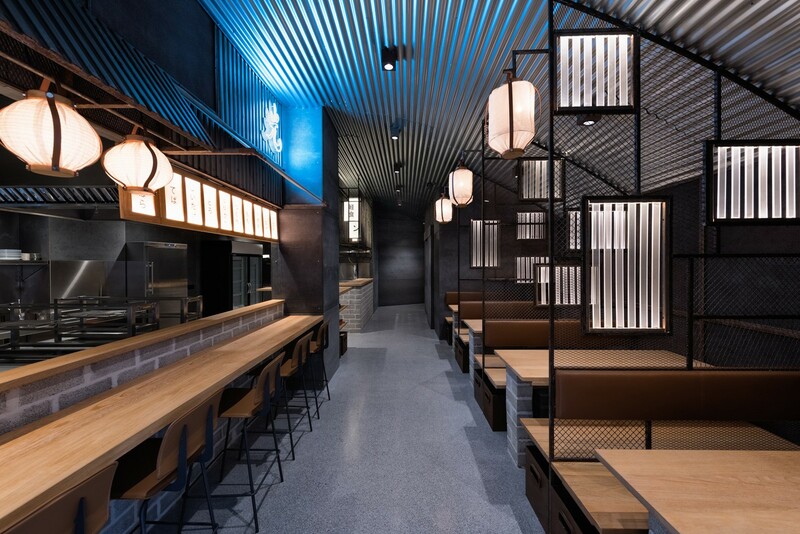 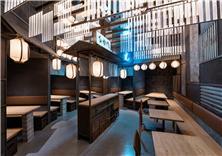 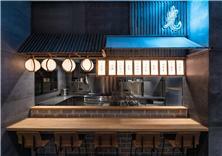 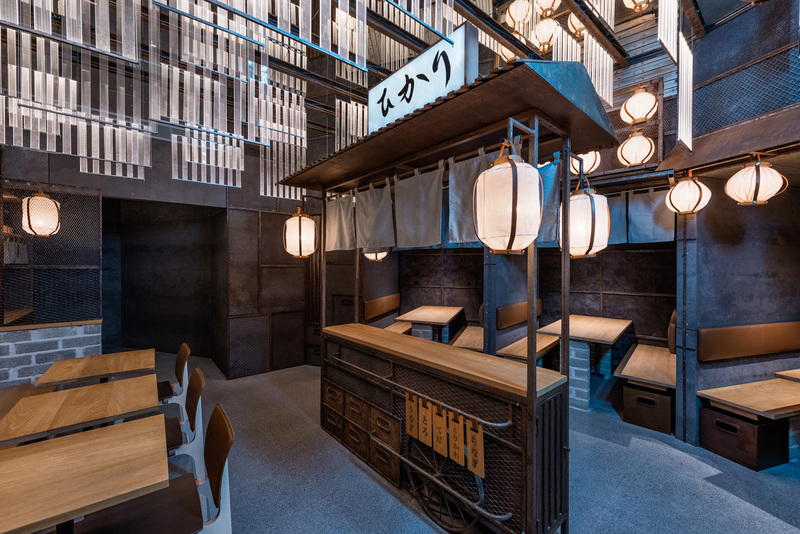 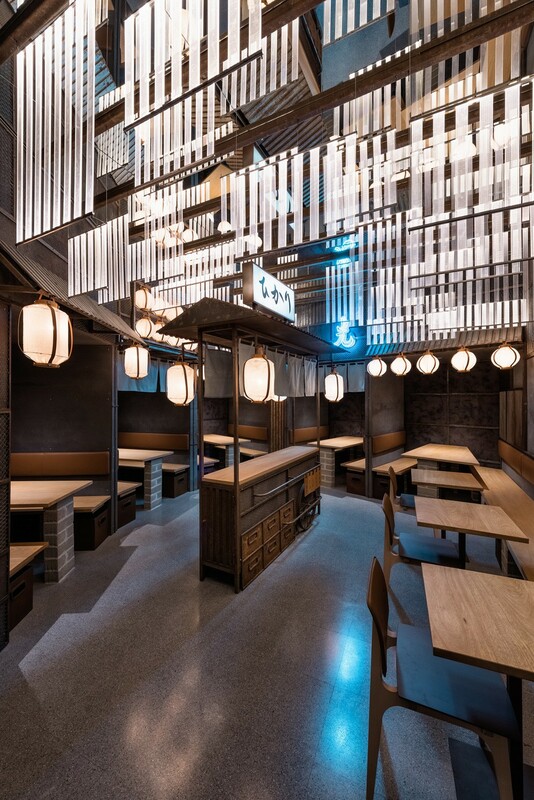 Masquespacio presents its last design for Hikari Yakitori Bar, the second project from the founders of Nozomi Sushi Bar, located in the same district of Ruzafa in Valencia two steps ahead from their actual restaurant. 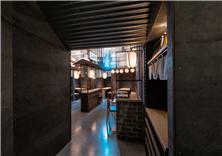 Starting from the fa?ade we can immediately recognize the entrance to one of Tokyo’s tunnels, that invites us to enter to the intimate and at the same time eclectic interior, that with the dimmed light and flames coming out of the kitchen catches the visitor from the beginning till the end. 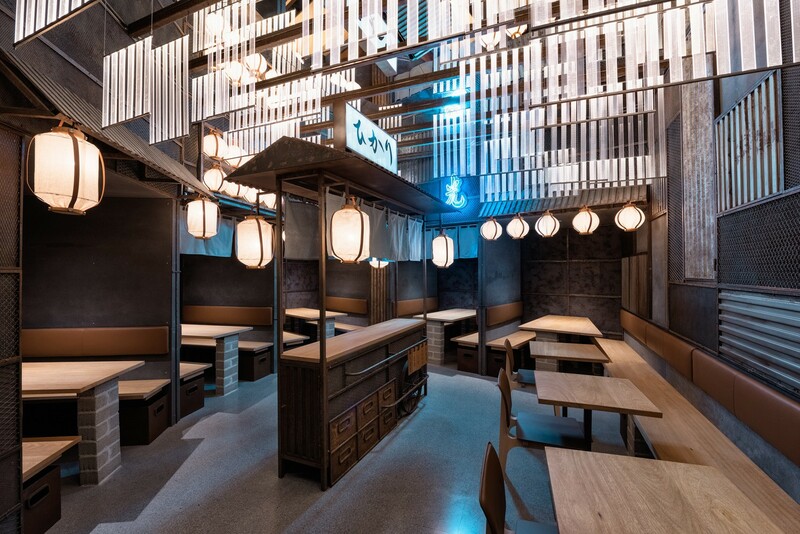 Here you can recognize straight away the fusion between noble and industrial materials, classic and contemporary, always through an own vision that clearly represents the identity from Nozomi’s company.